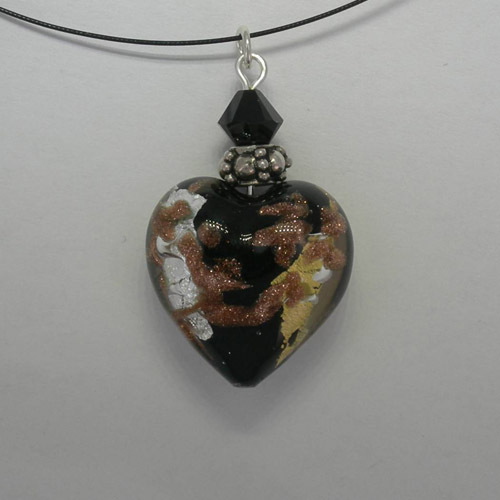 Desc: Venetian Glass black and gold and silver and copper Heart on nylon cord necklace. The nylon cord is black and has a base metal lobster claw clasp colored silver. 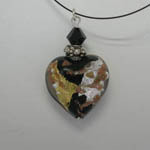 The heart shaped Venetian Glass pendant is black with Gold, Silver, and coppper colored designs. One black crystal is mounted in the bale.